It is extremely impolite to leave without sharing some of your purchases! 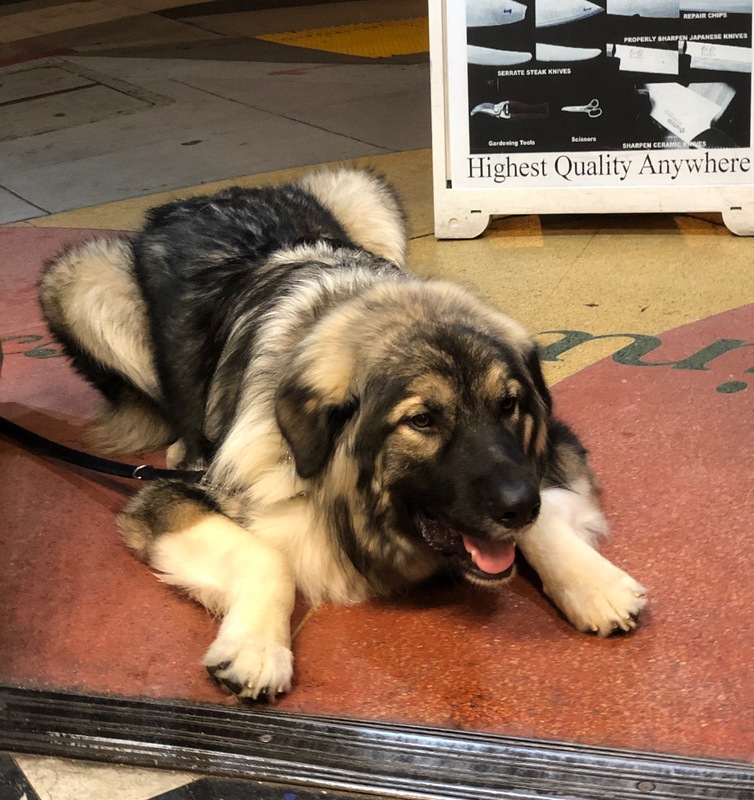 Remus was camped out in the doorway of my favorite cheese shop. In a rather hilarious position.